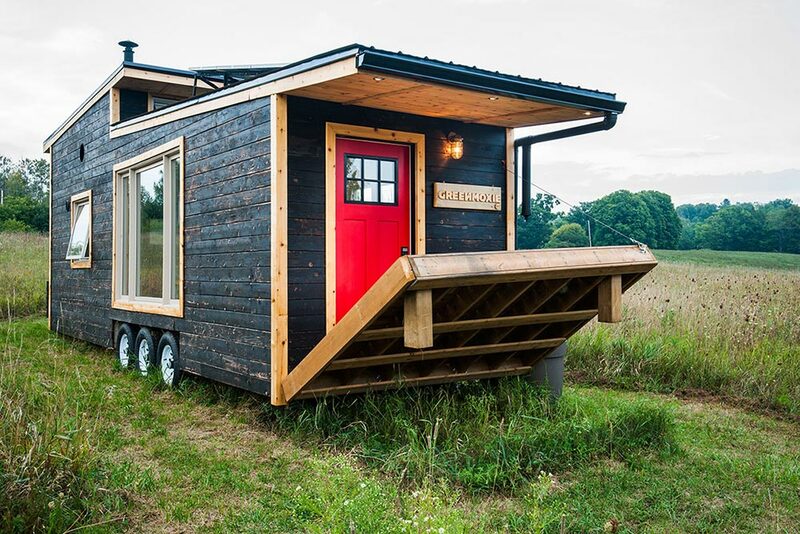 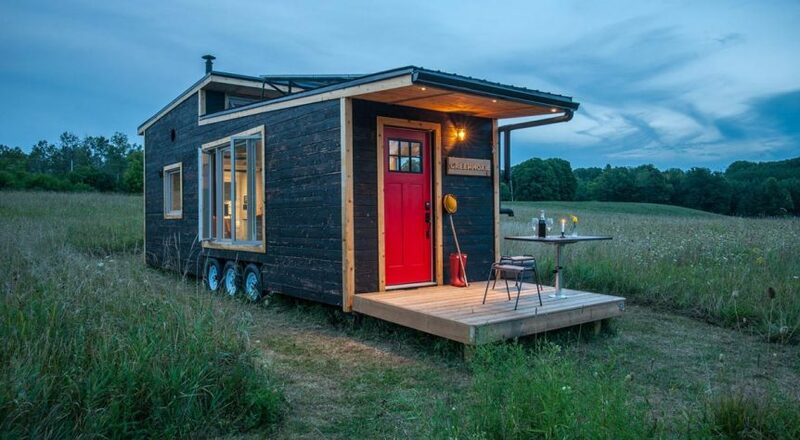 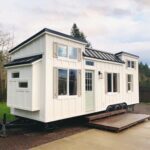 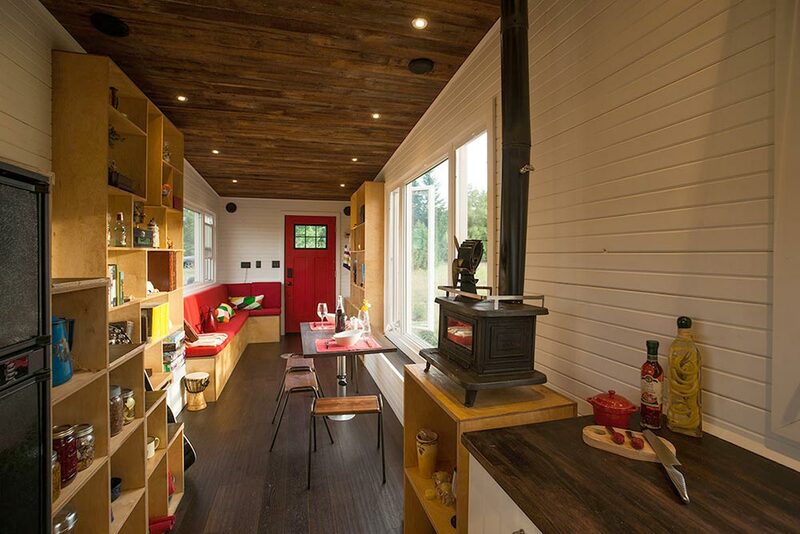 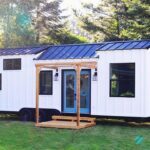 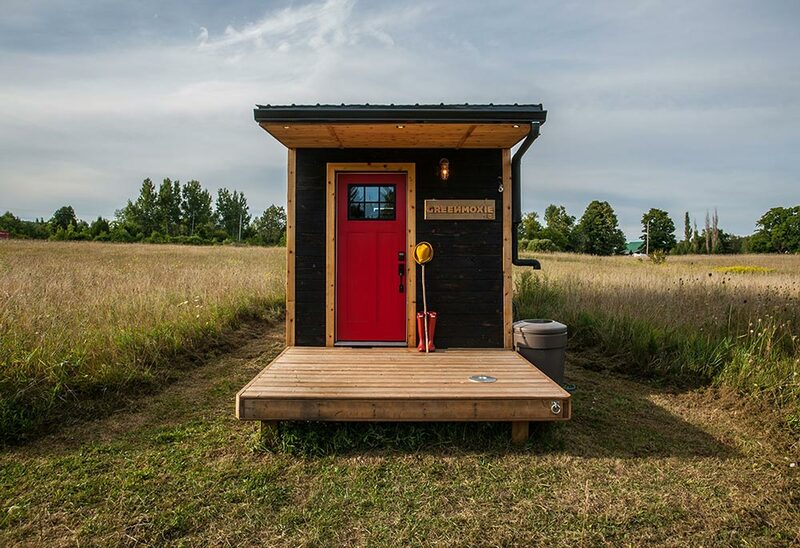 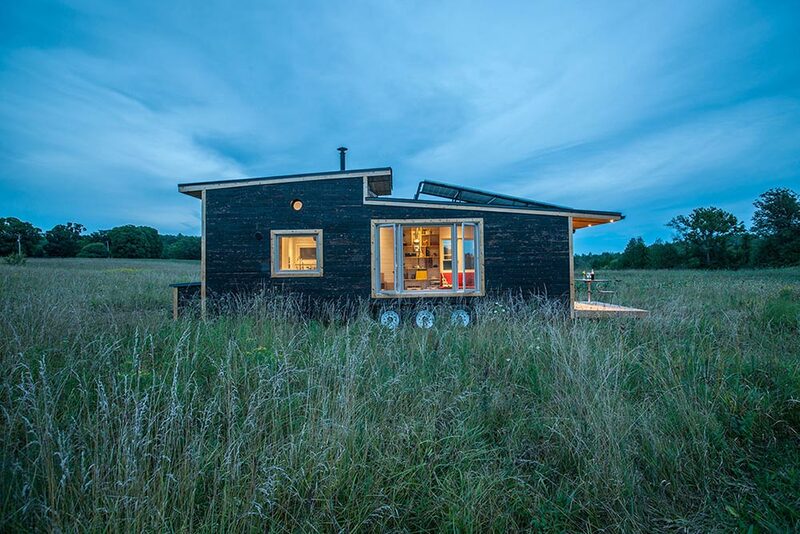 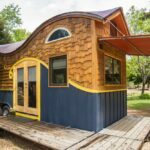 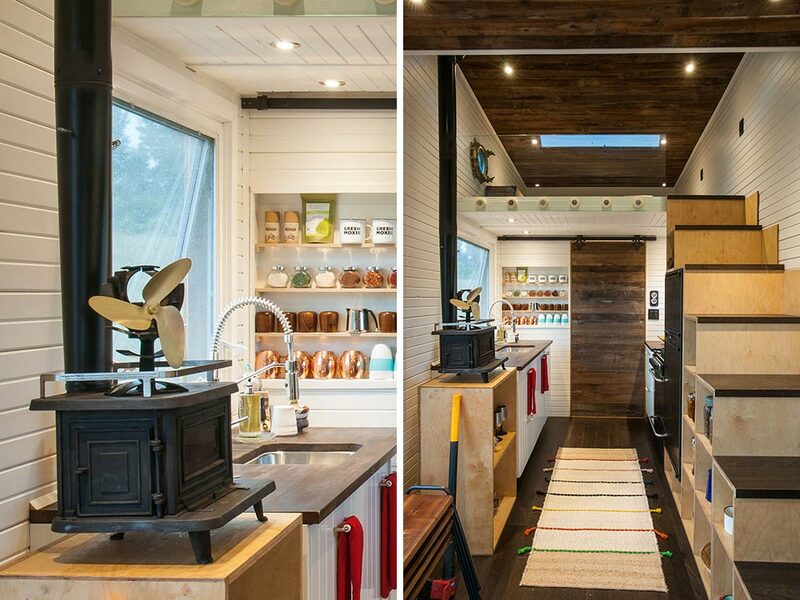 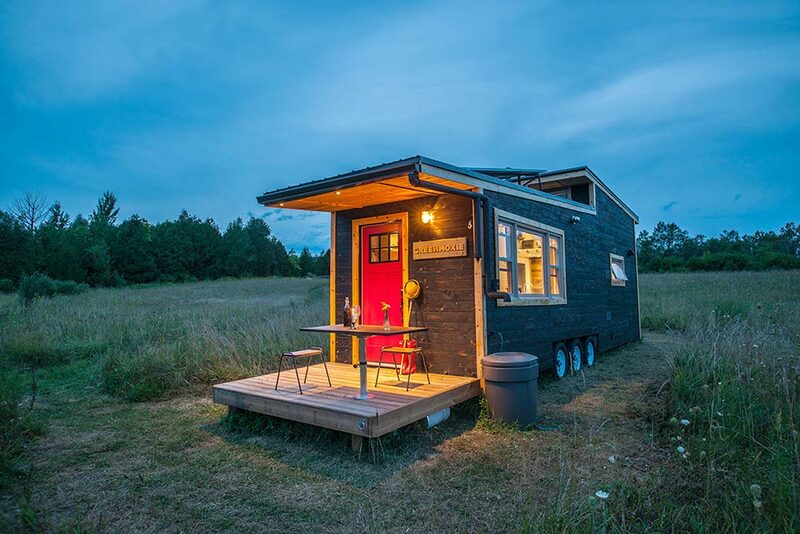 The team at Greenmoxie, including designer David Shephard and builder Ian Fotheringham, created this impressive off-grid tiny house. 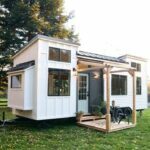 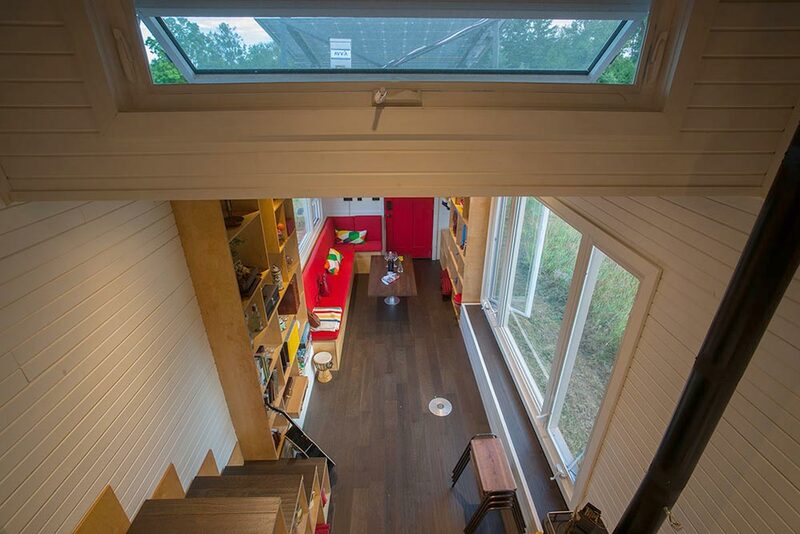 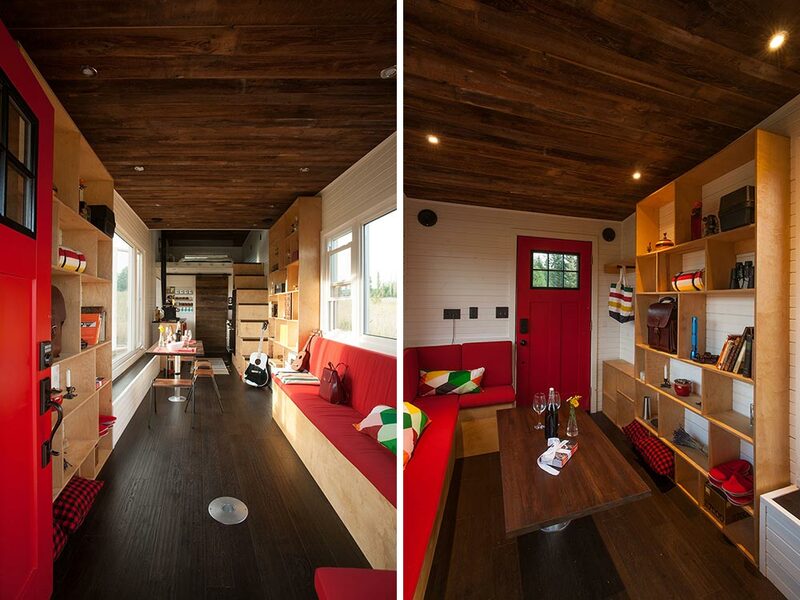 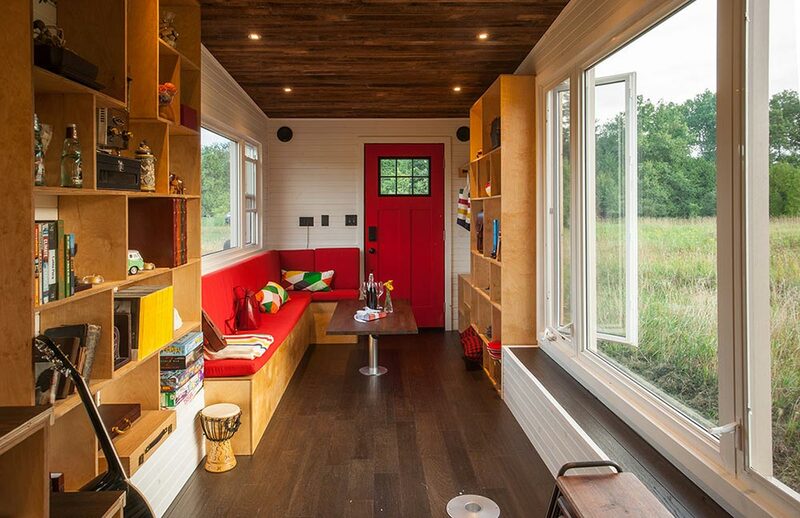 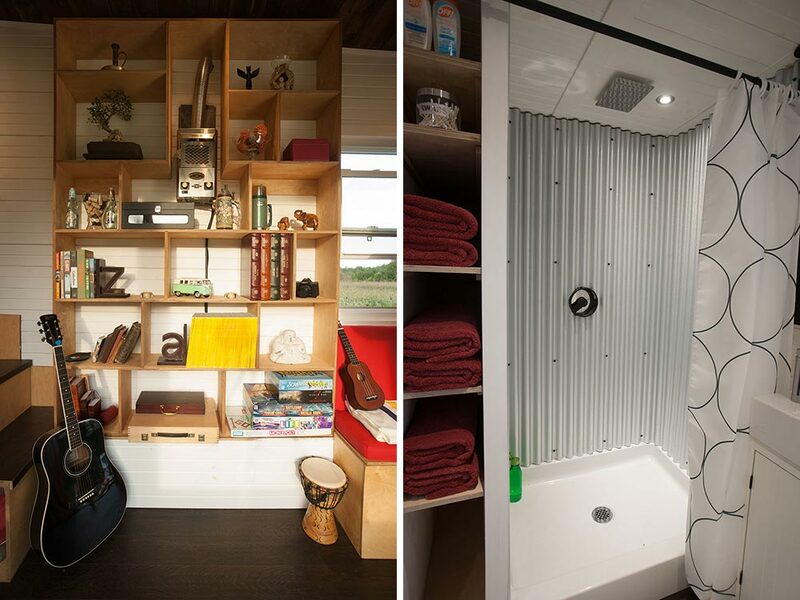 The 340 sq.ft. 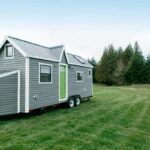 house was built on a 30′, triple-axle trailer. 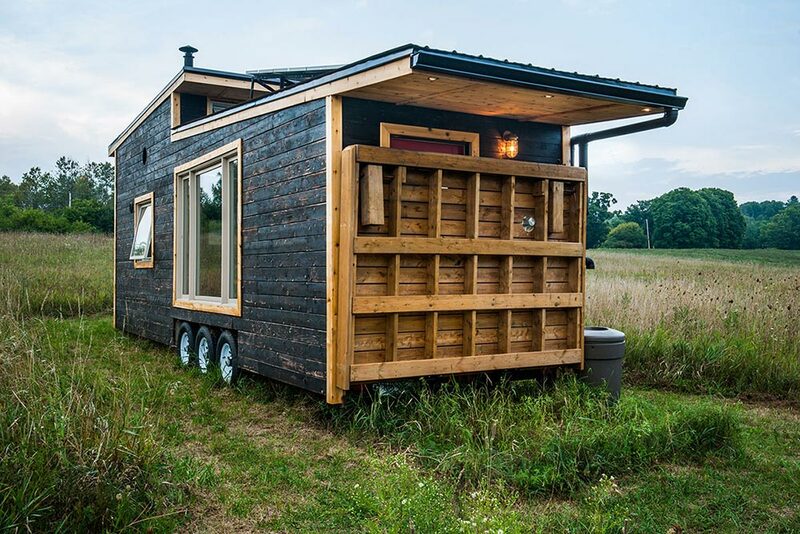 Exterior: Shou Sugi Ban siding (charred cedar, sealed with linseed oil) and a corrugated black metal roof; a 1kW solar panel array; a First Flush Roof water recovery system feeds into a 200-liter rain barrel; and a large electric draw bridge deck. 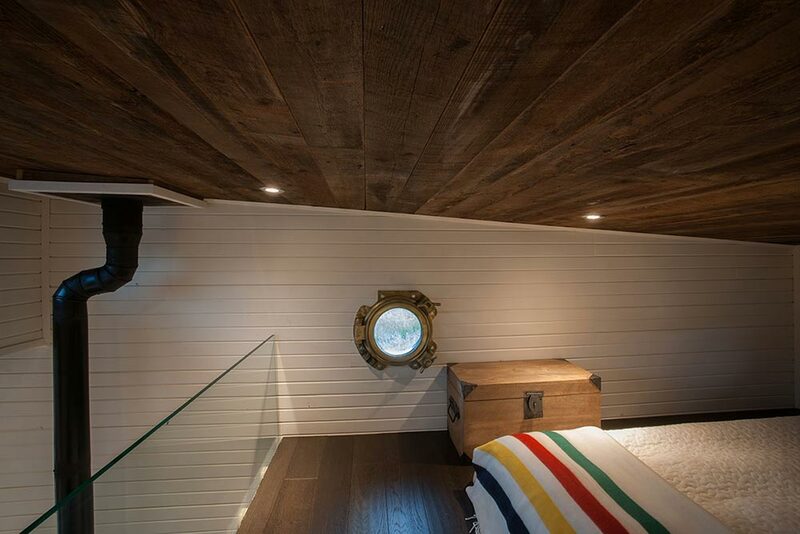 Interior: V-match pine walls, oak flooring, and reclaimed barn wood ceilings throughout. 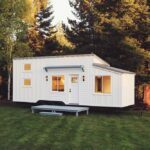 A custom moveable dining table with Garelick Gas Rise Pedestal can be used inside or out on the deck. 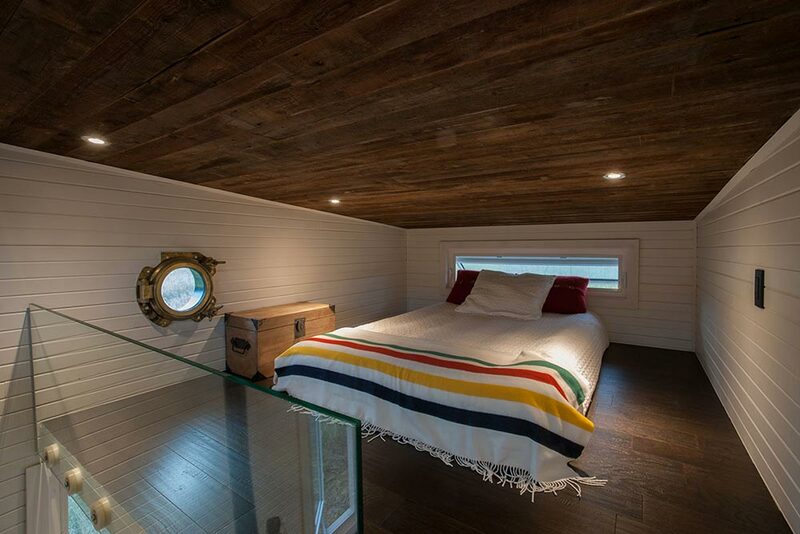 A reclaimed 100 year old brass portal window and custom glass railing are on display in the bedroom loft. 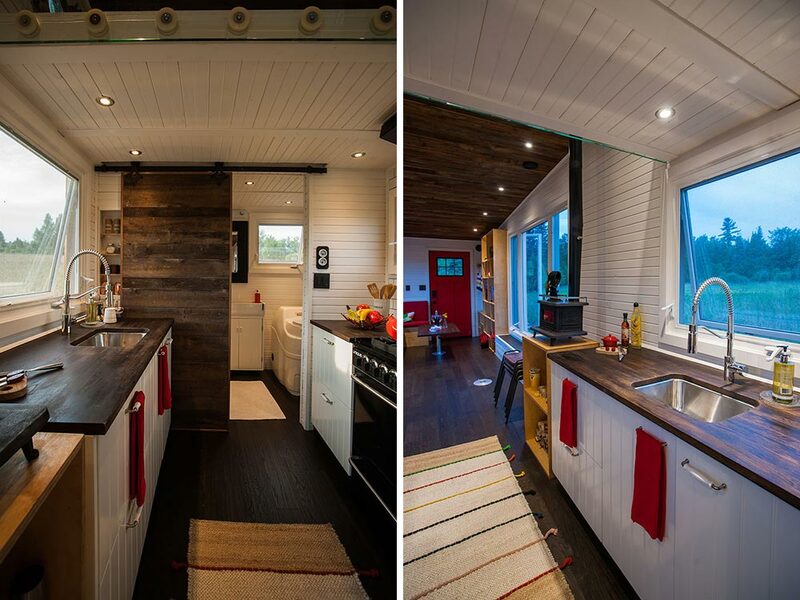 The kitchen includes a stainless steel sink and custom cabinets and countertops. 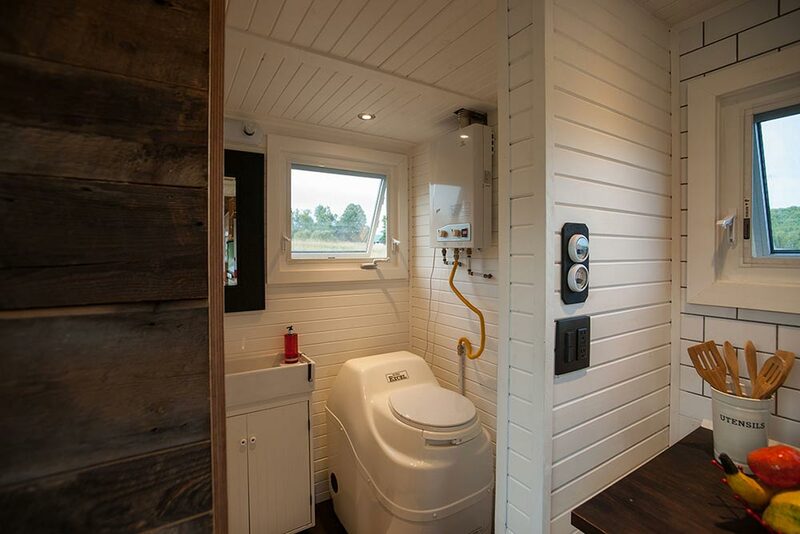 Also included is an integrated sound system with Alpine amp and remote control panel.